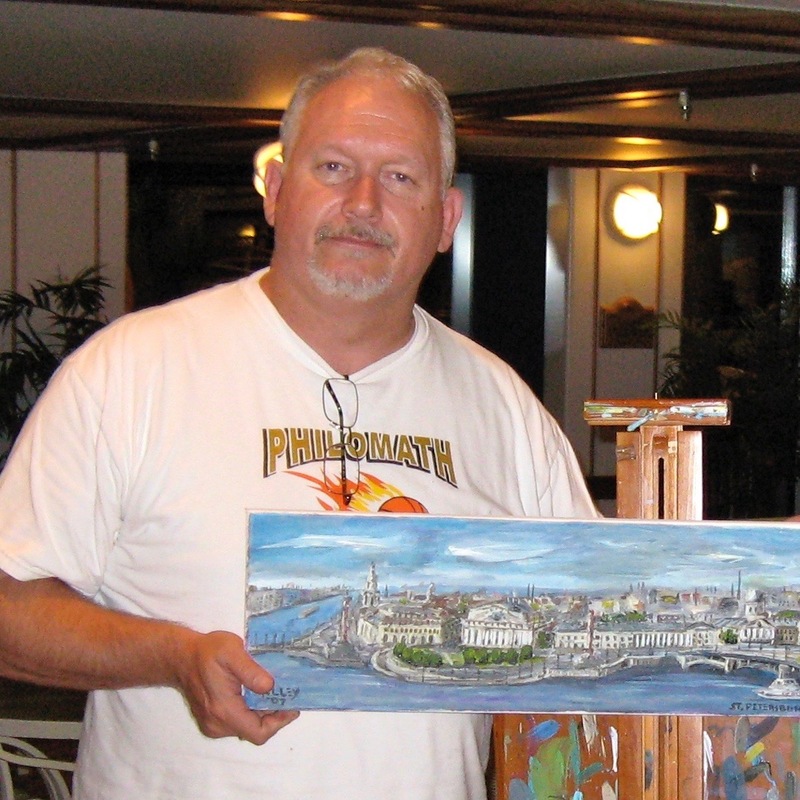 I have visited St. Petersburg twice, in 1985 and 2007. It was like being in two different worlds…except for the majestic architecture. I created this painting from a photo from my 2007 trip. Details:Acrylic on stretched canvas. 8 x 24 inches; 20.3 x 60.9 cm.Price:In a private collection in Pleasanton, California.